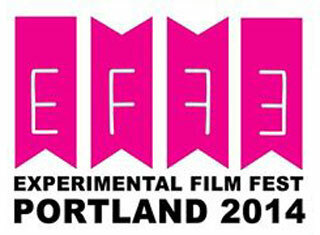 The Experimental Film Festival Portland will host its 3rd annual edition on May 28-June 1 at various locations around the city, including the Hollywood Theatre, the Clinton Street Theater, Disjecta and more. The Opening Night festivities at the historic Hollywood Theatre features a massive lineup of short films, including Kent Lambert‘s award-winning RECKONING 3 and films by Clint Enns, Stephen Broomer, JB Mabe, Cornelia Abrecht and Michelle Mellor. Some special events to keep an eye out for throughout the fest include the EFFPortland Throwdown, a series of showcases where local Portland filmmakers battle it out for bragging rights and supreme galactic superiority. The first event is on May 29 featuring work by Bob Moricz, Julie Perini, Karl Lind and more. In addition to the Throwdowns, there are just an absolute ton of short experimental films, including work by Christine Lucy Latimer, Andrew Rosinski, Bryan Konefsky, Sara Koppel, Zachary Epcar and loads more. The fest then concludes on June 1 with several specially curated programs, including films made “with natural processes” curated by Julie Perini and Caryn Cline, and the “Black Radical Imagination” curated by Amir George and Erin Christovale. The full film lineup is below. Please visit the official festival website for more info. In this workshop, we will work with botanicals to create a direct animation collage (aka “botanicollage”) film. Making films with botanicals allows plants and people to interact in new ways. Working with a technique developed by the experimental filmmaker Stan Brakhage, we will paste plant parts onto 16mm clear or black leader and create a collaborative handmade film. AND FEATURING: The EFFPortland Throwdown! A bracket-style event of friendly showcase between local Portland makers and their curator “coaches”, judged LIVE by visiting artists in raucous rounds that will take place throughout the festival . The preliminary rounds will take place at the Thursday Nite Special, and by Sunday, a winner will be crowned (and they and their coach will have bragging rights for a whole year). Ring the bell, and let the battles begin! Let the pieces play, and may the best maker win!